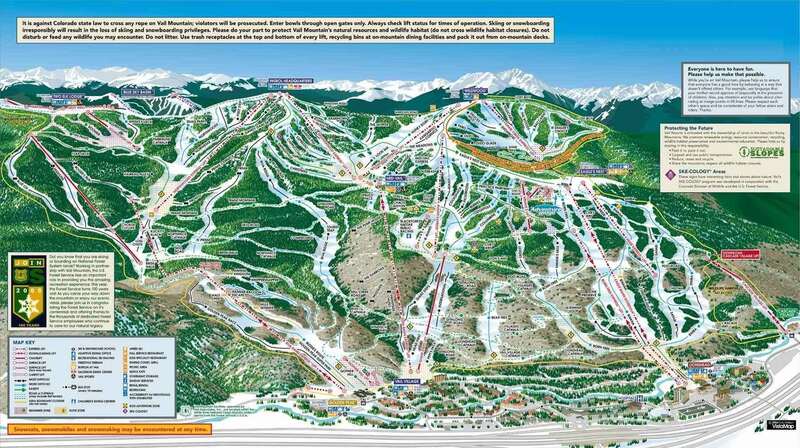 Call our expert sales team on the phone number above for information on our tailor made ski holidays to Vail. Hotels include: The Sebastian Hotel, The Lodge at Vail,Vail Cascade Resort & Spa and more. 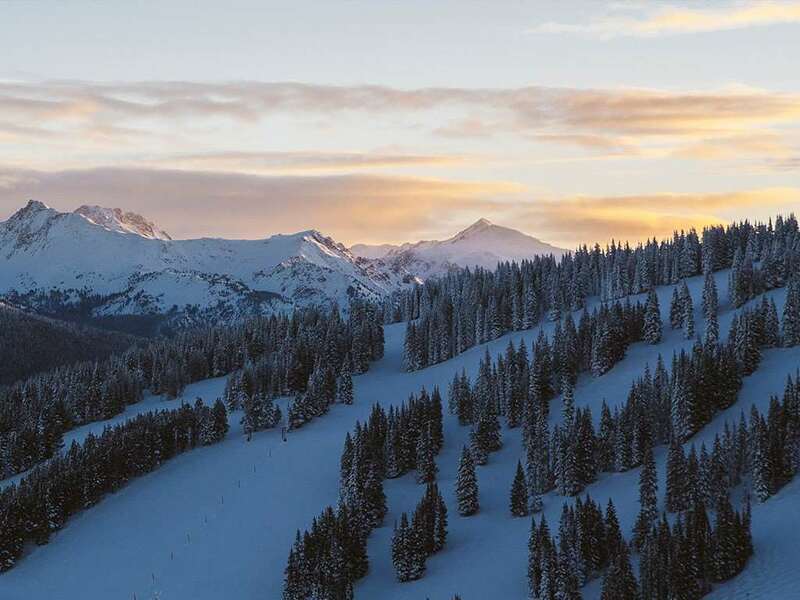 Vail is one of the largest ski resorts in North America with 5289 acres of excellent ski terrain, including wide open runs, steep slopes, powdery bowls, beginner areas and more. Combined with a yearly average of 346 inches of snowfall and 300 days of sunshine, Vail is a skier’s paradise. Founded in 1962 the attractive, purpose built resort brings Alpine charm to the American Rockies. Ranked as one of the finest ski resorts in the world, ski holidays in Vail offer a wide variety of skiing for all levels on the largest single ski mountain in the USA. When you purchase a 3 or more day lift pass at Vail, you can use the same pass to access neighbouring resorts in Colorado of Beaver Creek, Breckenridge, Keystone and Arapahoe Basin. If you are an intermediate to advanced skier it is possible to ski multiple mountains in one day. Beginner skiers will find progression easy with the dedicated ski areas at all three base villages: Golden Peak, Vail Village and Lionshead Village. Intermediate skiers will enjoy the wide open trails and famous back bowls, while advanced skiers and snowboarders will love the expert features of Vail including mogul runs, tree skiing and glorious powder fields. Discover Vail’s life off the slopes, which starts in Vail Village, an Austrian-inspired hub of activity featuring an amazing 70 restaurants, shop-lined lanes and an extraordinary range of convenient accommodations. Nightlife is varied and lively with a fantastic choice of bars and entertainment to enjoy during ski holidays in Vail. Ski holidays in Vail will keep you coming back year after year. America's Family Circle has voted Vail as one of the top resorts for family ski holidays, so it is not surprising that Vail has a reputation for giving youngsters the time of their lives. There is the 'Small World' playschool and nursery where trained professionals take care of non-skiing children from 2 months to 6 years.